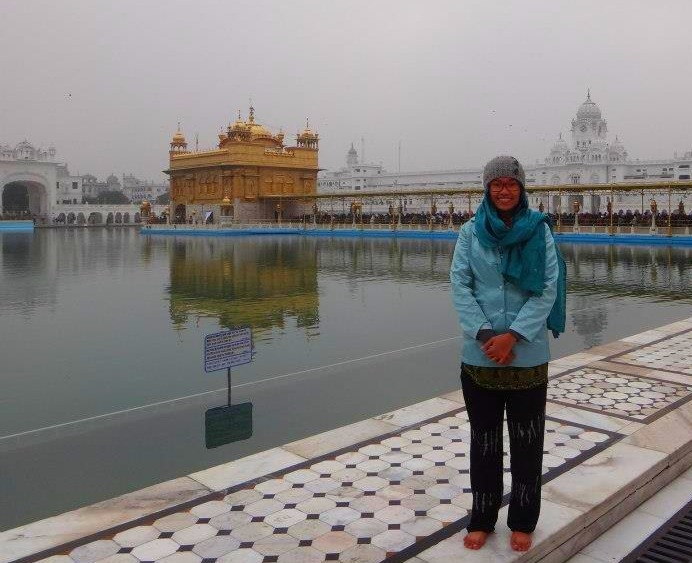 I first came to know of the Golden Temple via an article written by Mamu Rose, a Filipina co-volunteer, who toured the Sikh’s Holy City together with other VSO volunteers. 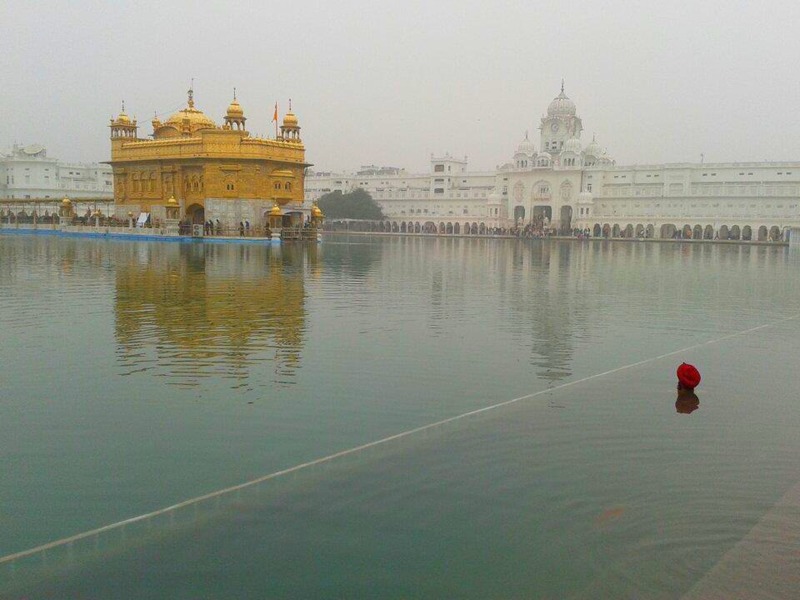 Upon gazing at the picture, I told myself that I, too, shall see the Golden Temple for myself. It took months before I was finally able to go but I was so glad that I did. Being at Harimandir Sahib, even though I was not a Sikh or a follower of Sikhism (though I like their teachings, the ones I heard of at least), gave me a certain feeling of calm and peace. The Golden Temple, unlike any other places I visited, I felt these even while I was just about to enter the complex premises. I don’t know but for some reason, I felt like I am really being welcomed. That I am being, uhm, ushered in. Alright, alright. You can say I am being dramatic. But that was really what I felt at the time. And mind you, I haven’t actually gone in the Golden Temple itself yet. It probably was because of the long line of devotees and “curious” tourists waiting to get their chance to enter the Sikh “heaven” (although I think the entire complex kinda feels like that already) but also, more importantly, because I wanted to understand the essence of the Harimandir Sahib better. Can you see the line just to enter the Golden Temple? 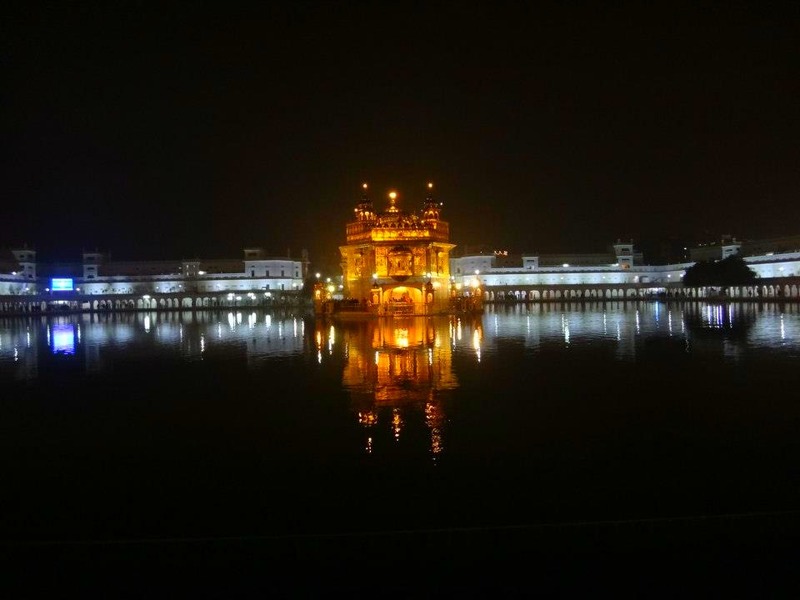 And that moment came later that night when my CouchSurfing kind-of host Sokirt met me at the Harmandir Sahib after the trip to the Wagah (Indo-Pakistan) border. Sokirt is a Sikh, and, I should say, probably as devout as my grand aunt were in the congregation. How did I say so? 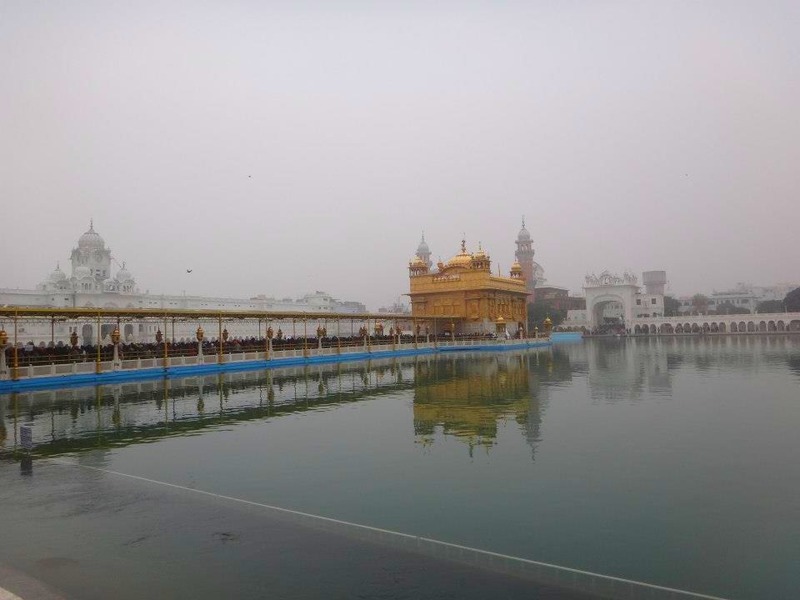 Well, when we entered the Golden Temple complex, the first words out of Sokirt’s mouth, was “This is heaven.” And, though I may not share the same views as strongly as he does when it comes to religion, I gotta say, I was sold. I mean, you could hear it in his voice. There was so much faith and belief. I haven’t met anyone like Sokirt who had that much reverence and awe for his place of worship. Or for the idea of having “heaven on earth”. Not even my late grand aunt. I probably would not convert to Sikhism but really, meeting a Sikh in their holy site and seeing and feeling how much they believe in the teachings of Sikhism, man, that is something that gets through you. 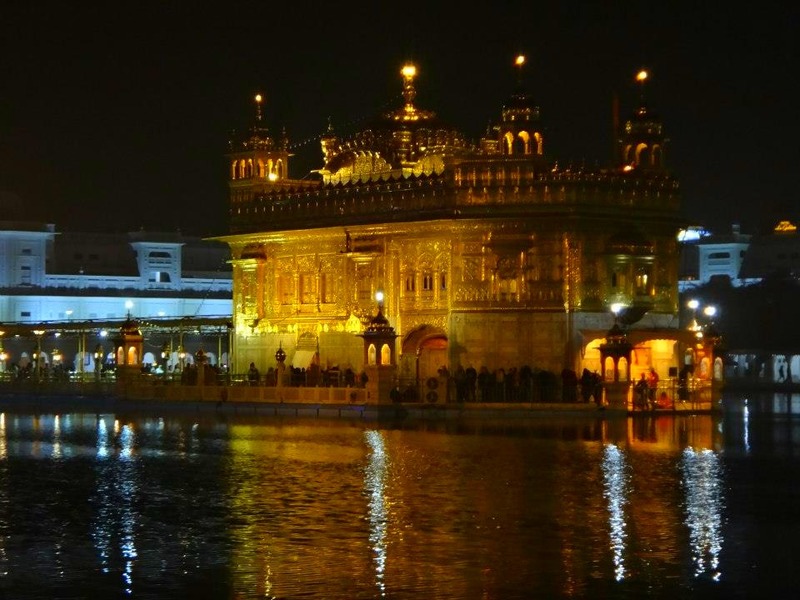 When asked about my favorite places or moments in India, the Golden Temple in Amritsar is definitely always mentioned. Not just because of the beauty of the Harimandir Sahib itself (which was built thrice already after being destroyed due to religious and political conflicts) but of what the temple and the surrounding structures represent. Of course, it might be different for you and me. 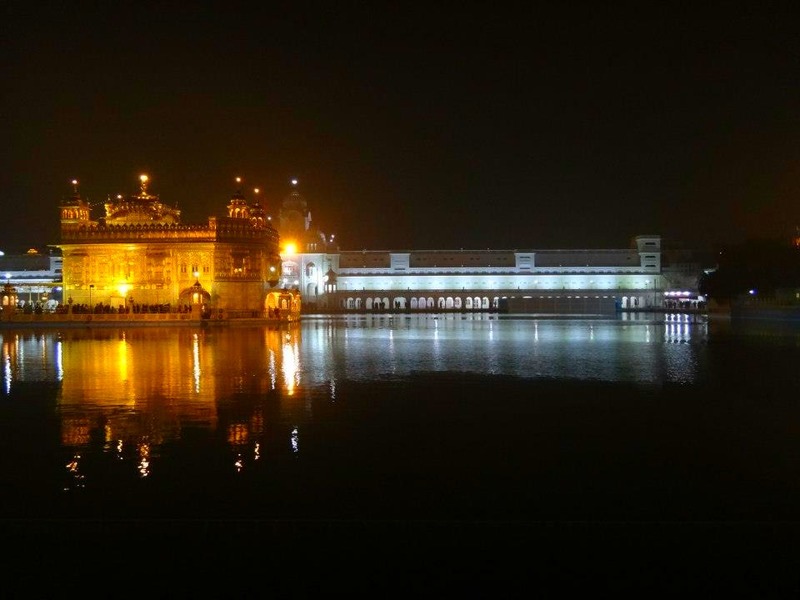 But if you have the chance, I hope you’d get to visit the Golden Temple and see and feel for yourself how the Sikh’s “heaven” can be a refuge for you as well. 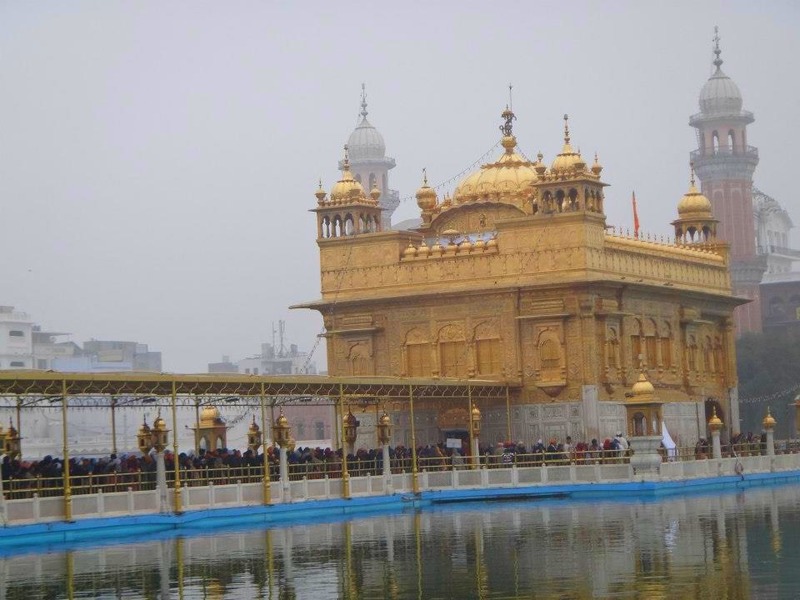 For general travel information on how to get to Amritsar and visit the Harimandir Sahib, please refer to Wikitravel. 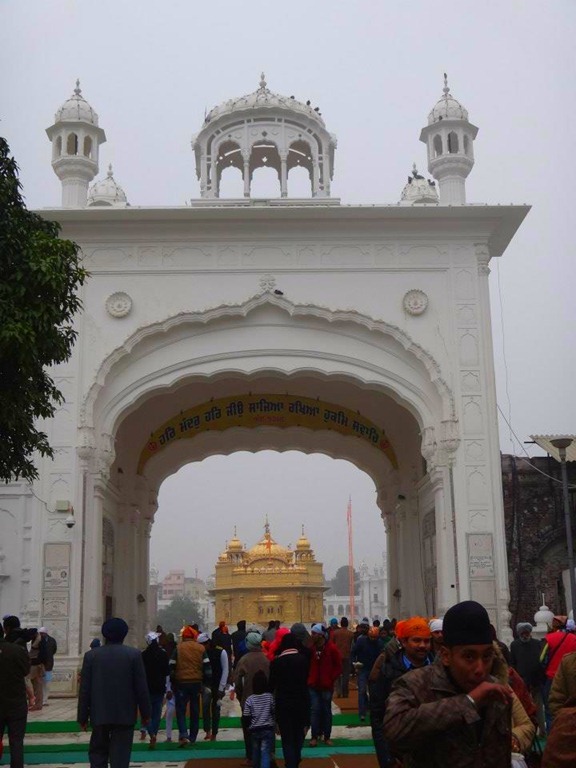 If you want to learn more about my experience at the Golden Temple and the other places in Amritsar (Langer [free kitchen], Wagah Border, Jalianwallah Bagh), please be patient for the rest of the entries or leave me a comment.